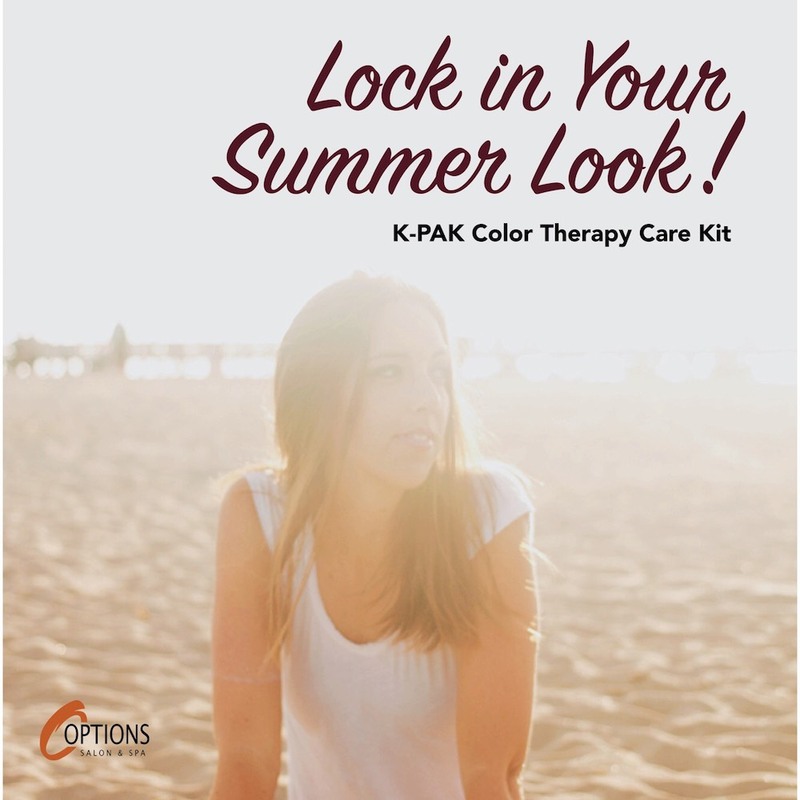 Lock in your Summer Look! 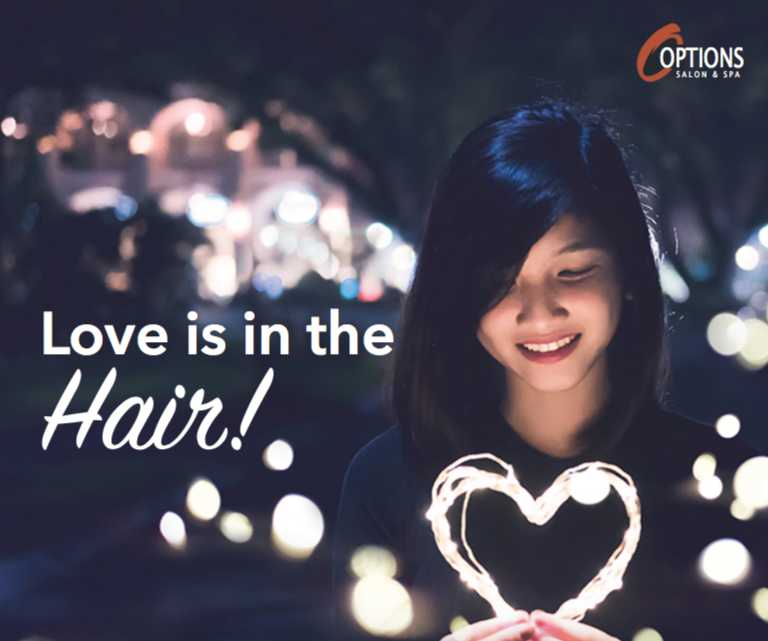 K Pak Deeply locks in vibrancy and moisture while locking out fading and damage all while repairing and sealing your hairs outer protective layer. 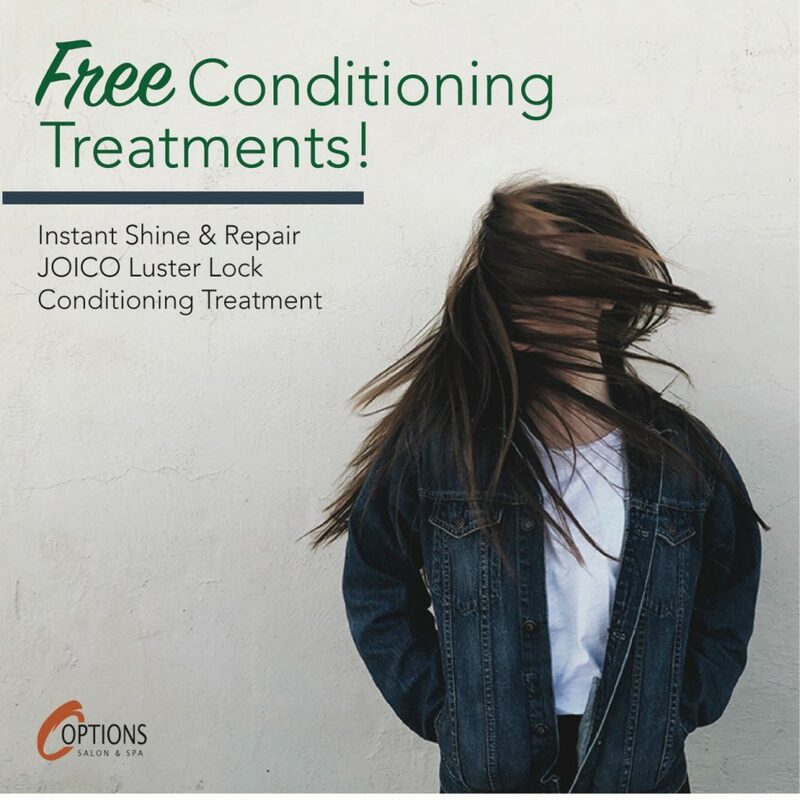 Includes: Shampoo, Conditioner, and 1.7 oz luster lock. 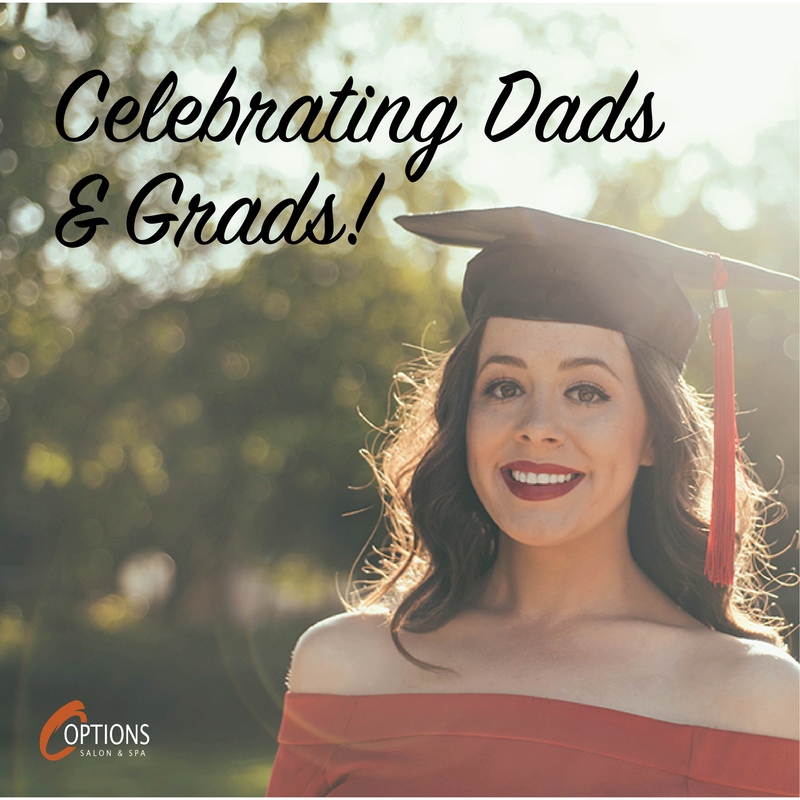 Enter to win a Vitamix! $5 ticket enters you a chance to win a vitamix. All proceeds go to support our Bike MS fundraiser. Additional donations excepted at the front desk. 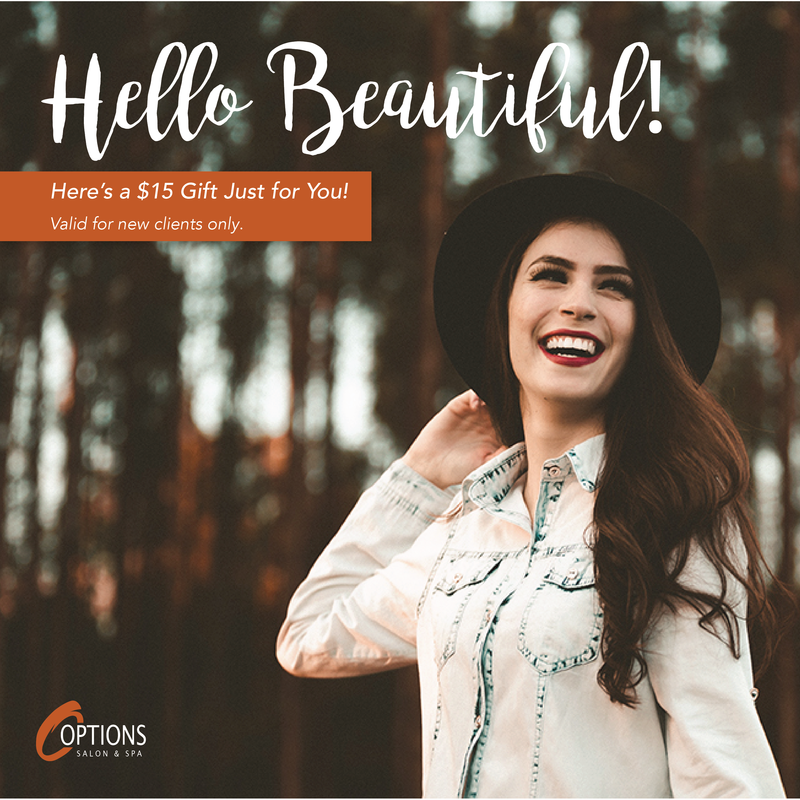 Here’s a $15 Gift Just for You! Valid for new clients only. Valid towards a $40 service or more. (Services can be combined to reach your $40 minimum). 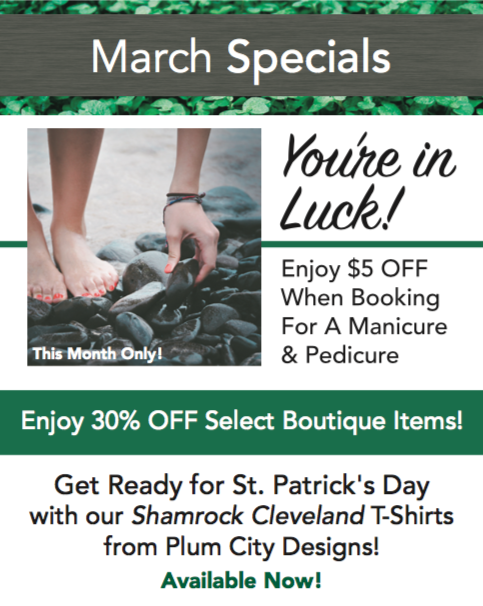 Offer excludes special occasion styling & bridal services. Not valid with other offers or discounts. No cash value. Valid for 60 days. Please present this code at checkout. 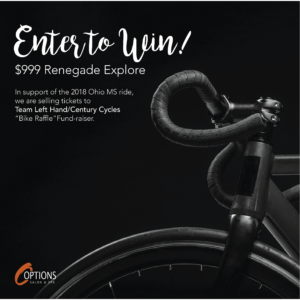 In support of the 2018 Ohio MS ride, we are selling tickets to Team Left Hand/Century Cycles “Bike Raffle” Fund-raiser. $10 for 1 ticket, $25 for 3 tickets. The drawing will take place the week of August 4th. Team Left Hand/Century Cycles is a group of employees and friends dedicated to solving the riddle that is Multiple Sclerosis. Left Hand Brewing Company and Century Cycles have again partnered for our 4th year riding in the Buckeye Breakaway, a fully supported ride along scenic backcountry roads from Brunswick to Ashland. 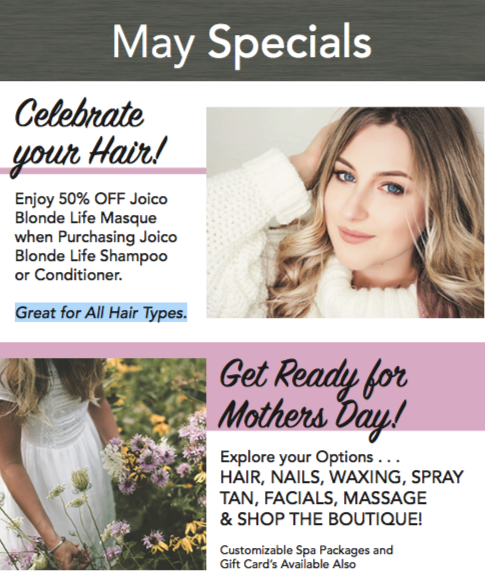 Enjoy 50% OFF Joico Blonde Life Masque when Purchasing Joico Blonde Life Shampoo or Conditioner. 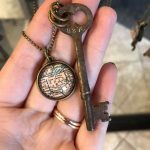 Our boutique is constantly changing, with more and more unique finds. We thoroughly enjoy seeking out different vendors, featuring interesting and exciting products to share with you. We have been attending events, fairs, and markets looking for just the right items to bring to our boutique. It has been such a pleasure meeting so many talented and genuinely nice people, most of whom are small local business owners. We think you’ll agree that their creations are indeed treasures. 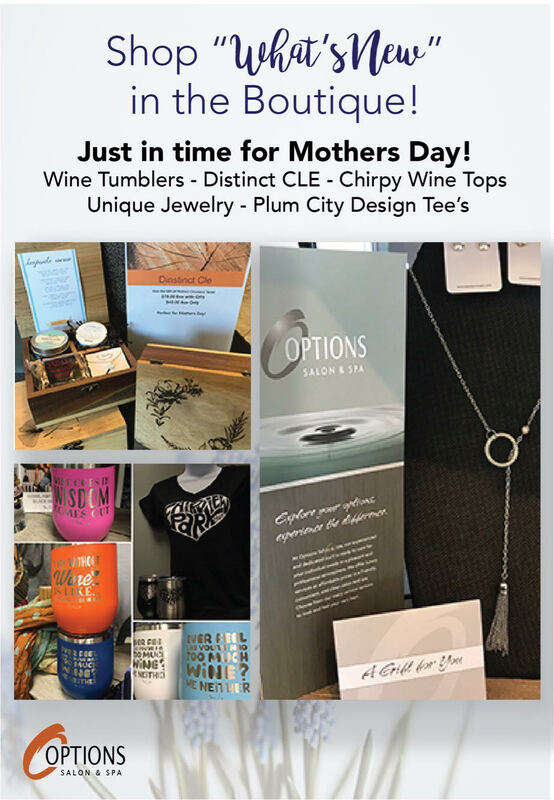 “DistinctCLE” brings us beautiful locally crafted wood products which are sustainably sourced from the Ohio River Valley. 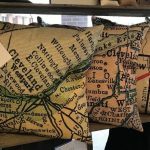 “Daisy Mae Designs” uses vintage maps to create decorative pillows and unique jewelry. “Sassy Pecan” features yummy gourmet sweet treats and fair trade organic coffee, which are hand-made and hand-packaged…mmm mmm good! Look forward to even more new additions to the boutique-coming soon!!! Available with appointment if time allows. Shop our new boutique items! Enjoy 30% off select boutique items! 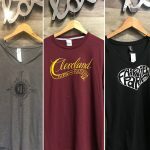 Get ready for St. Patrick’s Day with our Shamrock Cleveland T-Shirts from Plum City Designs! Available now! 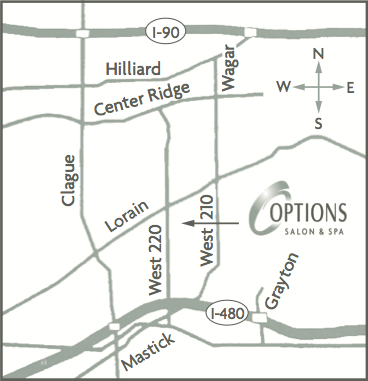 Trust in Options Salon and Spa for all your Valentines Day needs!